I am very pleased to announce that the Learn to Play program is listed on the Victorian Government’s School Readiness funding menu of evidence-informed programs and supports (“the Menu”). Learn to Play is about increasing a child’s ability to self-initiate their own pretend play. Evidence to date has shown that the Learn to Play program results in increases in children’s social awareness, language, narrative language, and increases in time spent playing and concentrating. The principles can be applied to all children. 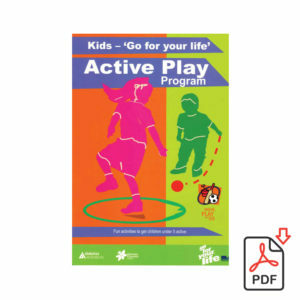 For children who have difficulty playing or have come to kindergarten and are not ready to learn, the Learn to Play program principles and processes can be applied to groups of children to support their learning, playing and socialising with friends. In response to the news that we are on “the Menu” we are planning new workshops for kindergarten teachers. These workshop includes training on the Pretend Play Checklist for Teachers. The workshop is a one day workshop and more information is available under the ‘workshop’ tab. If you have many children at your kindergarten who are not ready to learn and who have difficulties playing, then the 2 day Learn to Play Introduction workshop may meet your needs to a greater degree. The 2 day workshop goes into more depth on why pretend play is important for child development and how to engage children who cannot play. It will also include two play assessments. I also run a workshop with Dr Louise Paatsch on play in the classroom. This workshop is geared for teachers and therapists who work in schools. I am constantly questioning why children’s play ability is important for learning and socio-emotional development, particularly as they begin school. Play, within the classroom, can be controversial. For teachers and therapists who work in special and specialist school settings, the importance of children’s ability to play is clear. Children who attend special and specialist school often have difficulties in play ability, and the research and work I have done in special and specialist schools has shown that when children engage in a play based program, their language and social skills improve. Teachers report more cooperative behaviour in the playground and more settled behaviour when children are required to self-organise. The pretend play ability of children attending special schools and specialist schools is almost always delayed for these children. Their play levels are more commonly at the sensory-motor and exploratory stage of play. By targeting pretend play ability as well as consolidating sensory-motor and exploratory play behaviours, increases in social interaction and language have been found (see resources section). Teachers in mainstream schools are also finding the value of developing the pretend play ability of children in the early years of school. The teachers I have worked with have observed a proportion of the children attending school for the first time are lacking in play ability and socio-emotional readiness for learning. Schools take different approaches to implementing a play-based program, depending on the children who attend their schools, the school culture and level of support from the principal and other colleagues. For example, some schools implement a play based philosophy throughout the school, other schools have introduced a play based program for 2 hours each morning, or 2 hours x three times a week, and have focussed on the first foundational year of school. The play-based school program research in mainstream schools that I have participated in has found increases in children’s social interaction, less social disruption during lunch breaks, increases in language, and children’s increased awareness of how to organise themselves. Introducing a play based program successfully in a school takes a shift in thinking. The teacher role shifts from directing learning to being a facilitator of ability in children during the play program time. Knowledge of what is play, what it looks like, and what to look for also impact on the successful implementation of a play based program within a school. A framework for understanding play can be found in the Play section of this website. The use of the word ‘play’ also shifts from school to school with some schools calling the time in a play based approach as ‘enquiry time’, ‘discovery time’ or ‘developmental curriculum’ and so on. The important questions to ask before implementing a play based program are: What is play? What is the skill level of the children entering our school? Why do the children in our school need a play based program? 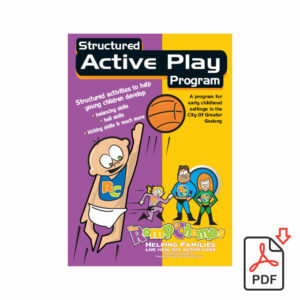 What outcomes do we want to see as a result of the play based program? What resources will we need, including space, play materials, staffing and time? The ability to pretend in play is a reflection of a complex level of play ability. When children enter school, their play ability should incorporate the ability to think of ideas, create a play script or scenario, recognise the play materials and props needed for their play scene, create characters for the play scene, and negotiate with peers who are also engaging in the play. By school age, children should be able to carry out a play scene over 2 or 3 weeks, so the level of complexity in the play includes problems to solve, events to plan, and the ability to stay in a role over an extended period of time. The evidence for the link between pretend play and narrative language is growing and in my work I have found that narrative language increases when pretend play ability becomes more complex within a child’s development. Reynolds, E., Stagnitti, K. & Kidd, E. (2011). Play, language and social skills of children aged 4-6 years attending a play based curriculum school and a traditionally structured classroom curriculum school in low socio-economic areas. Australasian Journal of Early Childhood, 36 (4), 120-130. Stagnitti, K, & Lewis, F., M. (2015). The importance of the quality of preschool children’s pretend play ability to the subsequent development of semantic organisation and narrative re-telling skills in early primary school. International Journal of Speech-Language Pathology. 17(2), 148-158. Stagnitti, K., O’Connor, C., & Sheppard, L. (2012). The impact of the Learn to Play program on play, social competence and language for children aged 5-8 years who attend a special school. Australian Occupational Therapy Journal, 59 (4), 302-311. Stagnitti, K. (2010). Helping preschool and kindergarten teachers foster play in the classroom. In A. Drewes and C. Schaefer (Eds). School based play therapy. (pp. 145-161). Wiley: New York. Stagnitti, K., Unsworth, C. A. & Rodger, S. (2000). Development of an assessment to identify play behaviours that discriminate between the play of typical preschoolers and preschoolers with pre-academic problems. Canadian Journal of Occupational Therapy, 67, 291-303.